Please visit the Cyprus Interaction Lab Google Scholar profile to view a complete list of the publications of the Cyprus Interaction Lab team. Please visit the Publications page for indicative videos of our work within our research themes. 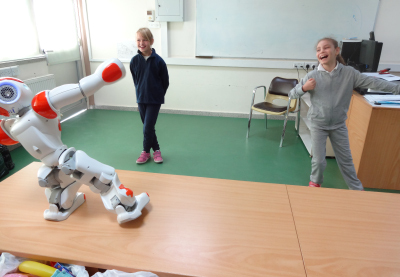 The Centre on Interactive Media and Smart and Emerging Technologies (RISE; http://www.rise.org.cy) was funded by EU through the TEAMING program of HORIZON 2020. The project aims at the establishment of an interdisciplinary Research Centre in Cyprus to integrate research in the Visual Sciences, Human Factors and Design, and Communications and Artificial Intelligence. The grant awarded was 0.5 million EUR in Phase 1 (2015-2016) for the development of the business plan for the Centre. In Phase 2, the grant awarded was over 30 million EUR (2017-2024) for the establishment of the Centre. Members of the Cyprus Interaction Lab have an active role in RISE, leading the EdMedia Multidisciplinary Research Group (MRG). 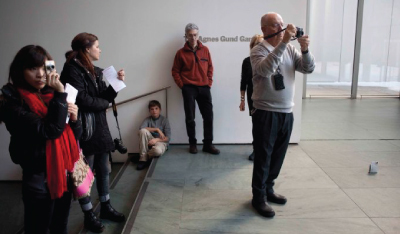 The EdMedia MRG is aiming towards applied research and innovation on interactive media, education and edutainment with emphasis on serous games. 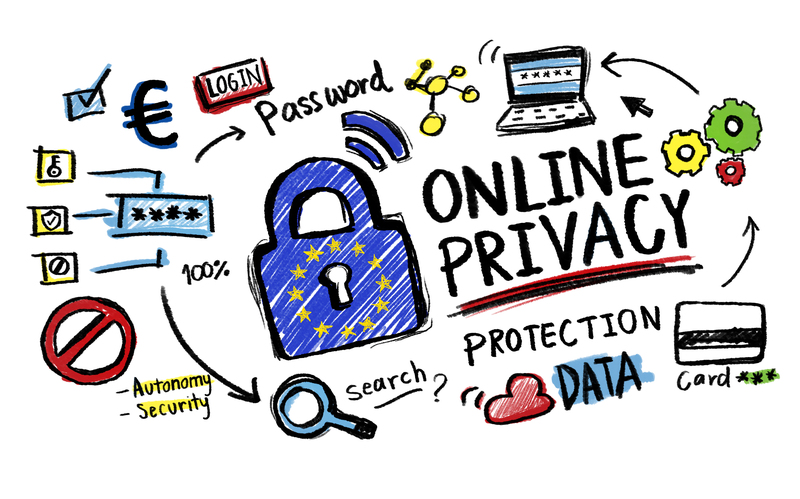 The overarching goal of INCOGNITO is to combine state-of-the-art technologies in a platform that will allow users to easily understand what is needed to access online services with respect to their privacy and be able to prove specific attributes of their identity or their whole identity. To achieve these objectives an inter-sectorial and interdisciplinary secondment program for Experienced and Early Stage Researchers that fosters knowledge exchange is proposed. Academic partners will offer their expertise on online identity acquisition and management, machine-learning algorithms and user experience assessment. Industry partners will offer their expertise on state-of-the-art IT security technologies, production-grade development processes, exposure to industrial research environment and relevant business issues and data. CYberSafety brings together major national stakeholders in order to create a safe internet culture, empowering creative, innovative and critical citizens in the digital society. 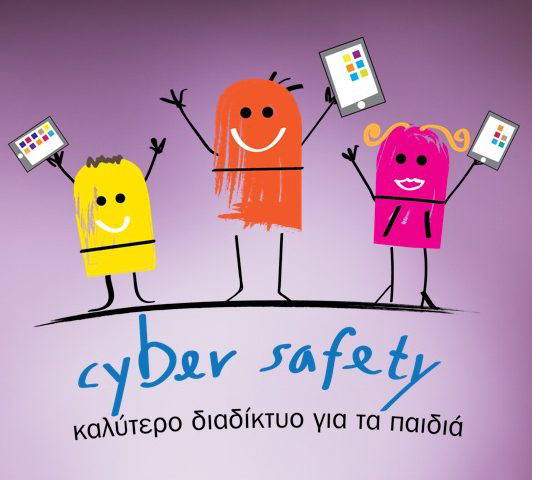 CYberSafety aims to provide an awareness platform where actors can find resources and tools, share experiences, expertise and good practices. 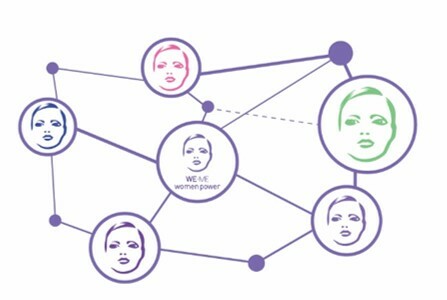 At the same time it aims to contribute towards a European approach and provide qualitative and quantitative feedback at European level, through the core service platform.The operation of the Helpline will ensure that all actors get advice and support by trained supporters/helpers in real time on issues related to their use of online technologies. The operation of the Hotline will ensure that all actors can report illegal content or actions related to illegal child sexual abuse material, racism and xenophobia. 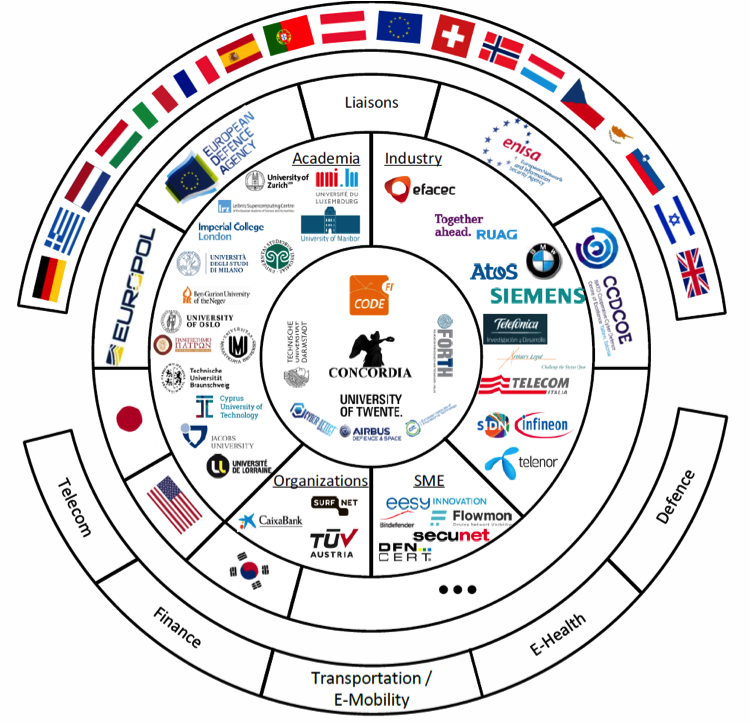 Position the CONCORDIA ecosystem, a Cybersecurity Competence Network with leading research, technology, industrial and public competences to build the European Secure, Resilient and Trusted Ecosystem, with the CODE research centre as coordinator and hub, and ENISA as secretary.Using an open, agile and adaptive governance model and processes.Devise a cybersecurity roadmap to identify powerful research paradigms, to do hands-on experimental validation, prototype and solution development in an agile way to quickly identify successfully but also unsuccessful potential product development.Develop next-generation cybersecurity solutions by taking a holistic end-to-end data-driven approach from data acquisition, data transport and data usage, and addressing device-centric, network-centric, software- and system-centric, data- and application-centric and user-centric security. The aim of the Erasmus KA2 OpenLang project is to develop an Open Language Network to connect and support all Erasmus+ KA1 participants (HE students and staff, VET, Adult, and School education staff, Youth learners, Youth Workers, Youth Entrepreneurs) during their mobilities increasing their language proficiency and also developing their intercultural and digital skills. 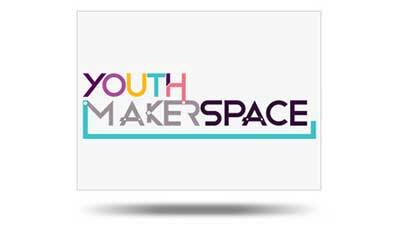 This project is a collaboration between the Cyprus Interaction Lab of the Cyprus University of Technology -CY, the University of Macedonia – GR (project coordinator), the Open University – UK and PIXEL Associazione Culturale-IT. Action 15221 “WeRelate” addresses the challenge of creating synergy among the increasingly more specialised and centralised supports for four key higher education activities – research, writing, teaching and learning – which frequently fail to capitalise on their shared territories and common ground. The Action addresses the dearth of professional conversations and research around the shared territory of support for, and development of, these four areas. Such dialogue and research, across units and institutions, will illuminate intersections and contribute to institutional transformation based on complementary, coherent and integrated provision. CyberParks’ main objective is to create a research platform on the relationship between Information and Communication Technologies (ICT) and the production of public open spaces, and their relevance to sustainable urban development. The impacts of this relationship will be explored from social, ecological and urban design perspectives. CyberParks deals with opportunities and risks ICTs offer to the user, via the appreciation, design and usage of public spaces. 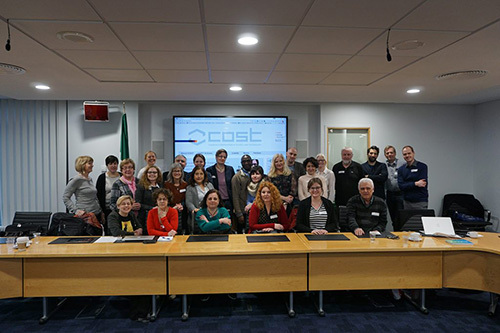 This EIT-funded Climate-KIC project aims to develop a strategy that factors migration into environmental and development policies, as well as take environmental change into account in comprehensive migration management policies focusing on the city of Limassol as a case study. This will be achieved through the training of migrants and other stakeholders through an ICT environment aiming to build the capacity of policymakers and practitioners in issues of migration, environment and climate change. 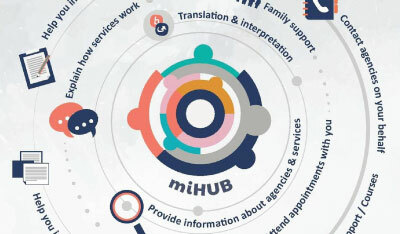 Migrant Information Centres (MICs) provide informational and psychosocial support services to migrants in order to support their social inclusion into the local society. The MICs are under co funding by the European Asylum, Migration and Integration Fund and the Republic of Cyprus. The Centers’ service provision includes direct and indirect advocacy on migration, employment, housing, educational opportunities, health care, culture and social inclusion information and so forth. In addition, collaboration is established with relevant governmental organisations and departments, NGOs and voluntary agencies. 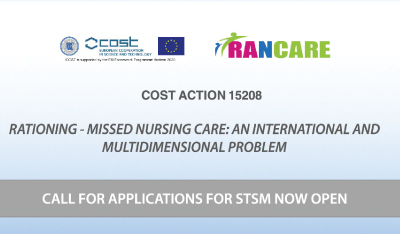 The overall aim of this Action is to facilitate discussion about rationing of nursing care based on a cross-national comparative approach with implications for practice and professional development. This will be achieved by advancing collaboration and networking, and by integrating different disciplines and approaches including nursing, ethics and moral philosophy, health care studies in general, economics and social policy. ENCASE is funded by the Horizon 2020, Marie Sklodowska Curie Research and Innovation Staff Exchanges program. The EU budget amounts to 2.16M Euro. 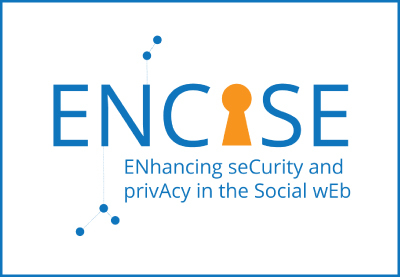 The aim of the ENCASE project is to leverage the latest advances in usable security and privacy to design and implement a browser-based architecture for the protection of minors from malicious actors in online social networks. The overall vision of the project is to provide research and innovation contributions to end-user experience assessment, large scale data processing, machine learning and data mining, and content confidentiality. NOTRE is funded (total budget: 1 million euro) by Horizon 2020 Twinning programme – TWINN 2015 – and the duration of the project is 36 months (01/01/2016-31/12/2018). 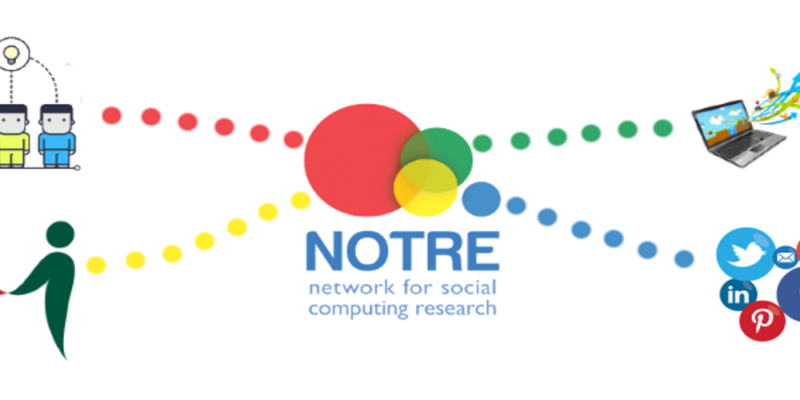 NOTRE aims to develop a network that will strengthen and enhance the research and innovation potential and capability of the newly established Social Computing Research Centre (SCRC) at the Cyprus University of Technology (CUT) for stimulating scientific excellence and innovation capacity in the area of Social Computing. 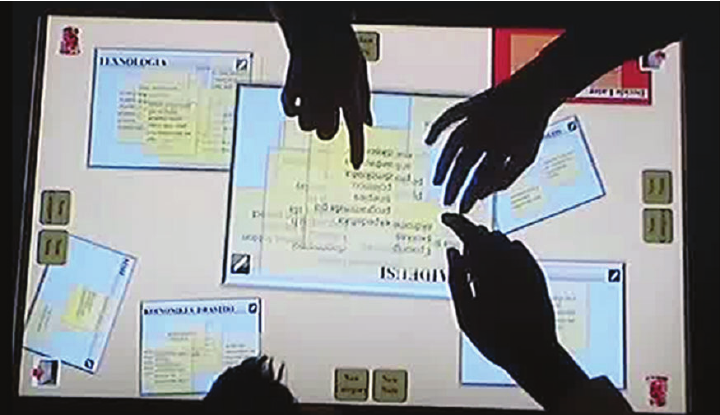 Considering that collaboration and conflict resolution are socially-mediated and highly reflective processes, the use of multitouch interactive technologies has great potential to demonstrate in this context, as it enables people in conflict to work together. 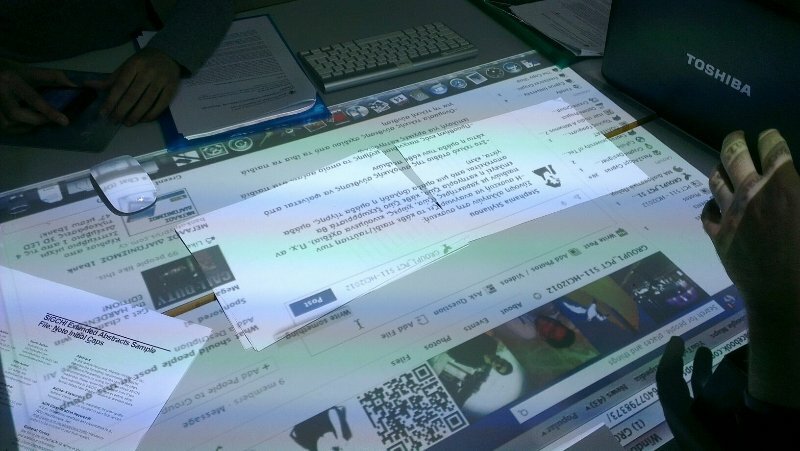 In collaboration with the Limassol Municipality (ΥΕ/ΥΑ/ΤΑΜΕ/02.2015; Limassol – One city, the whole world), the Cyprus Interaction Lab conducts technology enhanced interventions (using interactive tabletops) to promote perspective taking and collaboration in public schools with large number of immigrants. 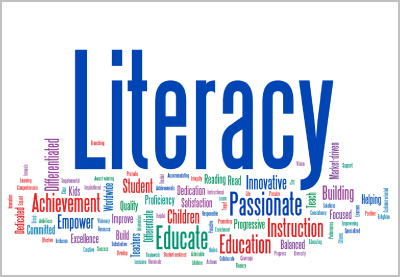 Through this Action, reading and writing research communities across Europe are joining, integrating their findings, and aligning their agendas so that they can: 1) develop an integrated and inclusive approach to foundational literacy across Europe; 2) devise a comprehensive framework of developmental aspects of literacy and education in a digital world; and 3) further improve literacy technologies. This will be valuable for promoting citizens’ interdependence, participation, and innovation, which are key assets to a united and diverse Europe. 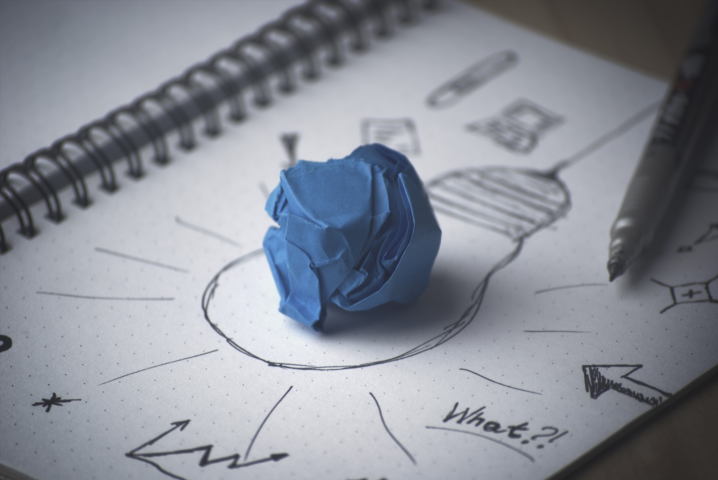 A project funded by the Cyprus Research Foundation (25000 euro) to explore innovative, multimodal learning environments for the support of problem based learning (PBL) in higher education, particularly design education. The project built on the idea that successful PBL implementation depends on both the selection of learning activities and development of appropriate infrastructure, that is, technology-enhanced learning spaces in which the activities can take place. This project delivered a practical framework for the construction of creative, multi-modal information spaces ideal for the implementation of PBL in the university classroom. The project revoled into the dissertation work of Dr. Vasiliou. CUT Start-up Grant funded to A.Ioannou as Principal Investigator (40000 euro). This start-up grant funded several small-scale interdisciplinary, exploratory projects in the area of technology-enhanced learning and peacemaking using interactive tabletops. CUT Start-up Grant funded to P.Zaphiris as Principal Investigator (80000 euro). This grant aimed at establishing the Cyprus Interaction Lab, purchasing of the required equipment and funding of research assistants for the execution of initial HCI related projects. 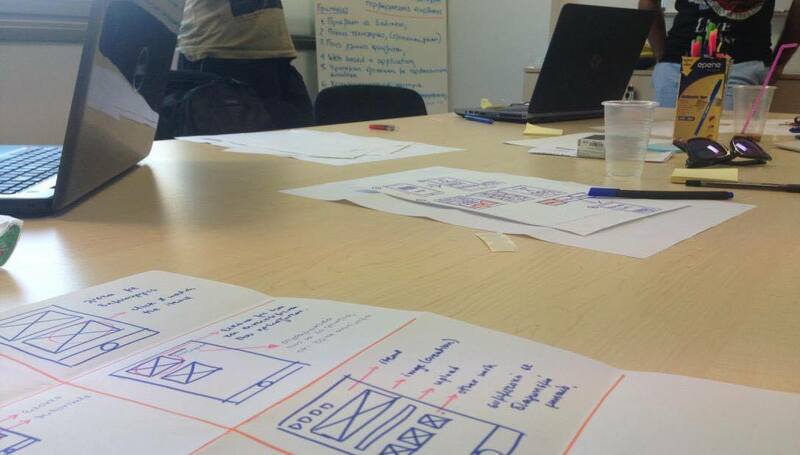 The goal of this project is to develop a methodological framework for optimizing the location of online advertisement. The project will make use of an experimental use of eye-tracking technology for the development of such a methodological framework. 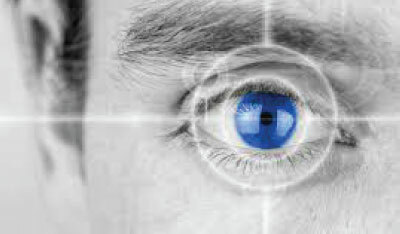 The Cyprus Interaction Lab assists in the scientific use of eye tracking technology and the creation of the methodological framework. 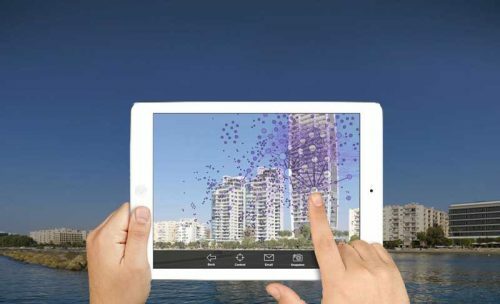 The main scientific objective of the project is to introduce computer graphics techniques into solving a specific computer vision problem. It will make use of the latest advancements in capturing technology and in graphics illumination algorithms to produce a novel illumination neutralization technique. Objects shall emerge in appearance that is independent from the lighting conditions of the scene. 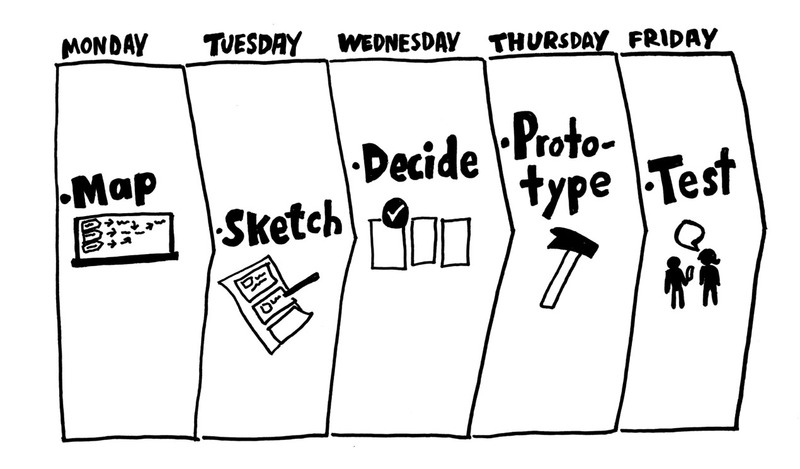 The process shall be optimized in terms of timing constraints to permit its utilization in real-time systems. The system shall be robust eliminating the difficulties imposed by illumination variations. MUMIA coordinates the collaboration between these disciplines, fostering research and technology transfer in these areas and play an important role in the definition of the future of search. To form a common basis for collaboration the domain of patent retrieval has been selected as a use case, as it provides highly sophisticated and information intensive search tasks that have significant economic ramifications. MUMIA explores innovative frameworks to empower the synergies from the disparate research fields of MT/IR/MIIA within the specific context of patent search and other next generation Web applications. The Action aimed to provide harmonization and leadership currently lacking in this field by bringing together researchers and D&E professionals. 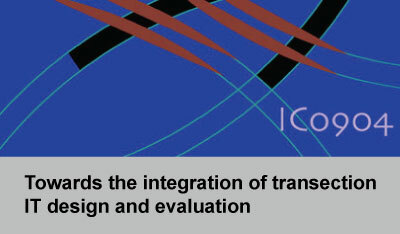 Their broad experience of D&E methods deployed in different sectors and disciplines enabled comparison of method applications, assessing transferability of both established and novel approaches. 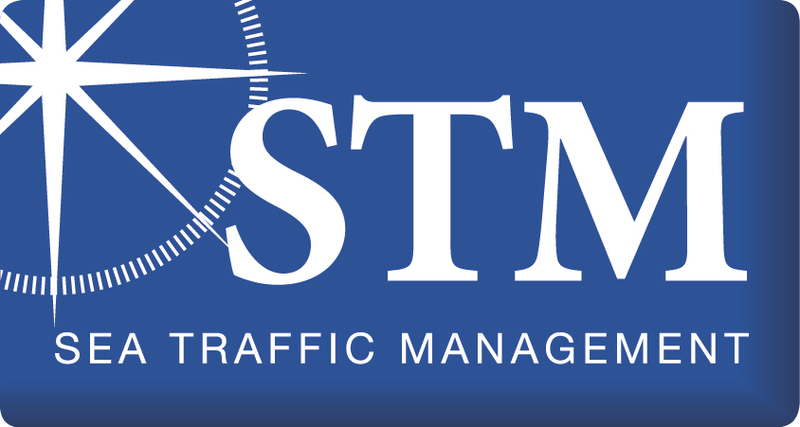 The Action provided young interdisciplinary researchers with systematic training and networking opportunities such as STSMs and Training Schools.